Green buildings, employment for locals – it's the Appalachian Mountain Club of Maine for the win. He and AMC’s Maine Woods Initiative did so much to make that happen in the 100-Mile Wilderness near Moosehead Lake, particularly in the course of the last year, that they are the winners of the 2017 Source Cultivator award. If you’re familiar with what the group has done in the region just east of Moosehead Lake over the last 14 years, making great swaths of wilderness – 75,000 acres – available to summer hikers and intrepid fans of winter recreation, you might think the group could get this award every year. 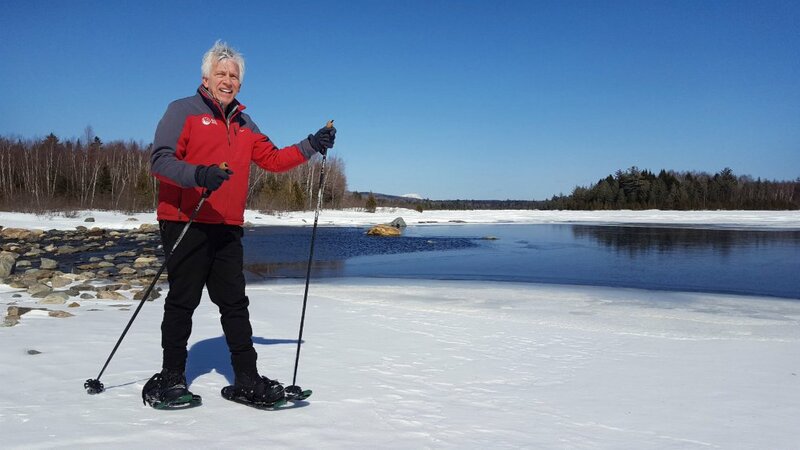 Mainers lucky enough to have visited AMC’s lodges at Little Lyford or Gorham Chair Back, accessible in winter only by snowshoes or cross country skis, already know what kind of experience AMC offers in this mountainous terrain. Take Julie Lamy, who has been going into the region in both winter and summer for the last four years. The Damariscotta resident and her family moved to Maine 12 years ago in part because of the wilderness opportunities. From the beginning, they had planned to hit different destinations every year, but the AMC lodges and the trails that connect them are non-negotiable in the Lamy family’s annual plans; they aren’t going to miss the unique opportunity to ski 7 miles in to a lodge where dinner and cabins heated by woodstoves are waiting. “We look forward to it every year,” Lamy said. Graff said he’s always used the tagline “a big idea that needs a big place” to describe what AMC started in 2003 when it acquired its first property near Greenville, Little Lyford Lodge. The intention was to open up avenues for fun while treading lightly on the land. In 2006 it acquired Medawisla Lodge, an old sporting camp even farther to the north (it has views of Katahdin, and the stars drip from the sky). Several years ago AMC shut down Medawisla Lodge and began the process of greening it with a complete rebuild. The cabins are tightly insulated and the whole place is solar powered. With Medawisla back in the mix, AMC’s network of trails in the region expands to 130 miles. In 2015, AMC’s Maine Woods Initiative purchased a 4,311-acre tract on Baker Mountain in the watershed of the West Branch of the Pleasant River, which is critical habitat for native brook trout, as well as some rare alpine plants. Graff had his eye on the property for 10 years, hoping for an opportunity to buy and preserve it. The organization already owned the land around it. “I call it the hole in the doughnut,” Graff said. The group is already removing old culverts that were impeding fish passage, and, working in partnership with the Natural Resources Conservation Service, has opened nearly 34 miles of stream habitat. Just a few months ago, AMC joined with the Forest Society of Maine and the Open Space Institute to acquire the 4,358-acre Silver Lake property. They’re working with local partners and the state to invest $1.1 million into recreational trails, designed to boost the nature-based tourism economy. The lodges have brought 16 full-time employees to the Greenville area, and Graff said a Bowdoin College economic study from 2014 said that, all told, AMC was responsible for creating 56 jobs in the greater area. Building Medawisla, which opens in July, created employment for a dozen local contractors. That’s a key part of the picture for this cultivator. “For conservation to work, you really have to have the community with you,” Graff said. That big plan of his includes careful forest management intended to restore land once owned by logging companies to its natural habitat. In 50 years, Graff wants people to look back and think the whole place, even with those comfy lodges and groomed ski paths, is wilder than ever.